Patrick Henry was an early critic of British actions in America. He remained important to the State of Virginia throughout the rebellion and into the formative years of the nation. Patrick Henry began fighting unfair British regulations before taxes on tea, stamps and sugar became an issue. In 1763, Henry launched into popularity with his surprise victory in the Parsons Cause. At the time, Parliament set laws regarding how much the colonies should pay the clergy. This payment was made in pounds of tobacco. After a bad harvest, tobacco prices plummeted. This essentially raised the salaries of the clergy, while hurting the profits of local farmers. Although Henry lost the case on legal grounds, the opposition was rewarded only one penny. 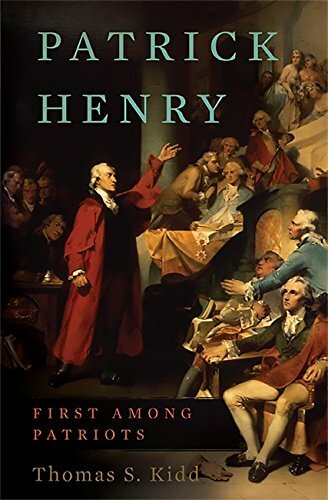 When the British began issuing harsher and harsher tax laws, Henry’s brilliant oratory skills and background in opposing unfair laws launched him into a position as a Virginian leader. Patrick was sent to the First Continental Congress. Here, he sided with the likes of Samuel Adams and John Adams in the belief that the colonies needed to ignore state differences and view themselves as one body. Henry, however, began to believe that war (and independence) had become inevitable. It the Spring of 1775 a series of events quickly unfolded. On March 20, Patrick Henry gave his famous ‘Give me Liberty, or Give me Death’ speech. The speech was given at the Second Virginia Convention. This was a successful attempt to persuade the other delegates to raise militias that were separated from British control. On April 21, the Royal Governor of Virginia seized the gunpowder in Williamsburg and placed it on ships in the harbor. Henry, who was already on his way to the Second Continental Congress, was reached by a messenger and decided to turn around. He gathered his troops just as news of Lexington and Concord reached Virginia. On May 2, Henry began to lead his militia on Williamsburg. Although many local Patriots trickled in to his ranks, he was convinced by other leaders to desist until a response could be received from the Royal Governor. Over the following days, correspondence was exchanged with the Governors council. It was agreed that the gunpowder would be paid for and the tense situation was resolved. Henry turned around and went to Philadelphia to meet with Congress. In the Second Continental Congress, Henry supported the establishment of a Continental Army. He also backed George Washington’s nomination as Commander-in-Chief. Returning home, Henry was a member of the Fifth Virginia Convention which, among other things, declared independence from Britain. This was May 15, 1776, making Virginia the first state to official separate from England. When Virginia wrote its new State Constitution, Patrick Henry was name its first Governor. He would hold this position on and off for over a decade. When Washington sent him a copy of the Constitution, Henry politely replied that he could not support ratification. Among other things, Henry felt this consolidated government gave the President too much power. He was afraid it would result in many of the same problems they fought against the British to end. After the Constitution was ratified, however, Henry supported it. He believed that because it had been approved through the appropriate, republican process, it was the duty of every citizen to abide by the new law. He turned down offers to be a Supreme Court Justice, Secretary of State, Minister to Spain and Senator. 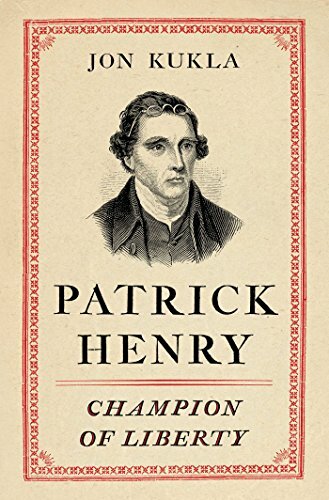 Patrick Henry spent the rest of his life working at his law practice, trying to make up for debts he incurred while dedicating his time to public service. Please remember to subscribe to our email list or follow us on FaceBook for daily updates on the Founding Fathers.